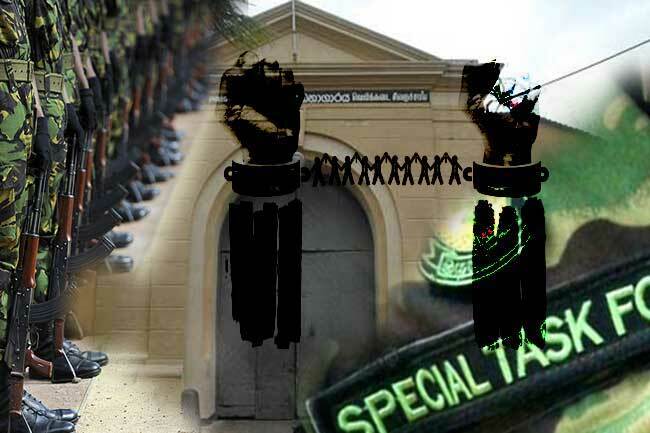 The Police Special Task Force (STF) will be deployed for the security of Welikada, Magazine and Colombo Remand Prisons, with effect from today (25). Accordingly, the STF will be in charge of the external security of these prisons and of inspecting the persons entering prison premises, stated the Ministry of Justice and Prison Reforms. The decision was taken by the Ministry in order to curb various rackets taking place within prisons. The STF was first deployed to Angunakolapelessa Prison, however, the inmates of the prison launched a protest against this action. The Department of Prisons has transferred 08 inmates, who are said to have led the protest, to other prisons last evening (24). Among the transferred inmates are ‘Julampitiye Amare’ and ‘Tangalle Mahesh’, who were remanded under murder and heroin charges. They have been transferred to Kalutara, Kuruvita, Galle, Matara and Monaragala prisons.